The governor has won some furlough cases and lost others in lower court decisions. 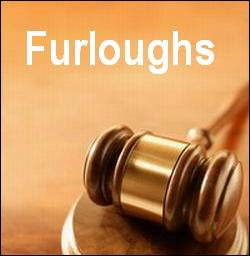 At issue is his authority to impose the furloughs. The issue is going to be heard at the California Supreme Court next week, Sept. 8. UC furloughs are not part of the case since they were not imposed by the governor. However, if the governor loses, substantial back pay could be owed to state workers who were furloughed. The contrast of back pay ordered for state workers but none for UC would undoubtedly raise pressure on UC management to consider some kind of recompense for its own employees. "People will refer to this decision for years to come," UC Davis law professor Vikram Amar said. The hearing. At Wednesday's hearing, each side will have 45 minutes to present its case, three times the usual period for oral arguments. The court didn't grant the added time because it needs convincing. In fact, the justices have probably already drafted a confidential tentative decision after weighing the reams of documents already filed.